Simulated Ecological Environments for Education (SEEE) Model, (2006-Present). An investigation into the empirical models with the data generated by the simulations to understand the causal models and the relationships between the design factors of complex user interfaces in these virtual environments on human thought, emotion, and action. Future research will investigate the complexity and causality of such interactions between knowledge, the virtual environment, and the user interface. 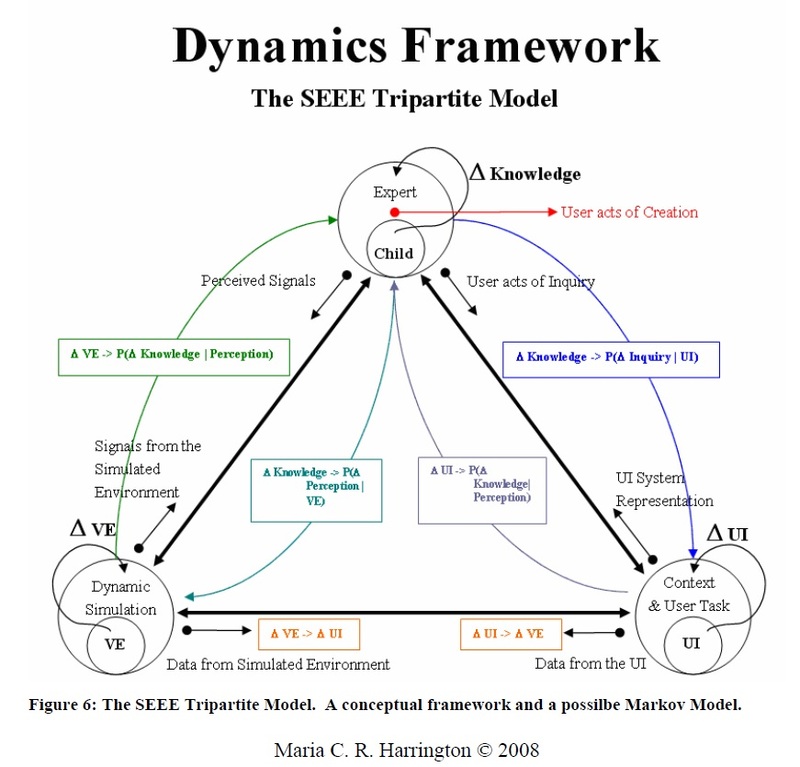 Figure 1: Published in my dissertation as (Figure 6), is a graphical representation of the information, signals, and their relationships to each other, quantified in the SEEE Tripartite Model: a theory of Human-Computer Environment Interaction. Harrington, Maria, C. R. (2008). “Simulated Ecological Environments for Education (SEEE): A Tripartite Model Framework of HCI Design Parameters for Situational Learning in Virtual Environments,” Dissertation Abstracts International. July 17, 2008. University of Pittsburgh, Pittsburgh, PA.